Yesterday, when my little brother came home after the school, he looked exhausted and frustrated. I picked his school bag to reveal his weariness, but I was taken aback by the heavy weight of the bag. It was like he put hundred bricks into it. I asked him why his bag was so heavy and he replied that there are many books to carry, and that this amount is even a half of that. I do not exaggerate facts, but I started to think about the negative impact of this books’ heaviness on pupils’ health and growing body. Therefore, this post highlights discrepancies between standard percentages of school bags weight in three different locations with elucidation of negative influence on health. At the beginning, several factors should be taken into consideration in order to investigate the topic in-depth. Pupils’ average body weight, distance between home and school, student gender, age are factors which induce specific effects on students’ health. Many countries share with their acceptable norms of student carriage load. As for Australia, Grimmer et al. (as cited in Hong et al, 2003, p.28) reported that “the average load carried by children was 5.3 kg or approximately 10% of body weight”. However, half of students still carry overweight bags. Grimmer et al. (ibid.) strongly agreed that there is a close connection between carried loads and back senses. As for the second location, Pascoe et al. (ibid.) 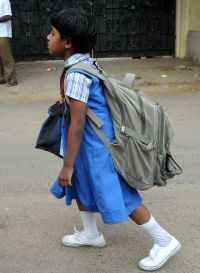 reported that in the USA, students carry schoolbags on average proportion in 17% of their body weight. They also underlined the health problems such as “muscle soreness, back pain, numbness, and shoulder pain” which are caused by over-loading bags. The third example was even more appalling; the Hong Kong Society for Child Health and Development (ibid.) reported that their students transfer 20.2% of body weight. To more clarify the notion, here is the example: If a child weighs 40 kg, he should carry 8 kg on AVERAGE every day! Deformations of back, sense of tiredness and other many negative consequences could be followed. Speaking of local context, does somebody considers the index of average school bag load while making up curriculum? As the facilitating option, probably, it would be better to negotiate with classmates or “deskmates” to share amount of books or to let parents buy a locker and let students to leave there some school stuffs? Or revision of curriculum and juxtaposing of subjects should be reevaluated? Hong, Y., & Cheung, C. K. (2003). Gait and posture responses to backpack load during level walking in children. Gait & posture, 17(1), 28-33. In the era of globalization and internationalization, people become more interconnected with each other. Nations all over the globe are to open for new linkages and communication. However, there are factors which cause barriers in cultural interaction. 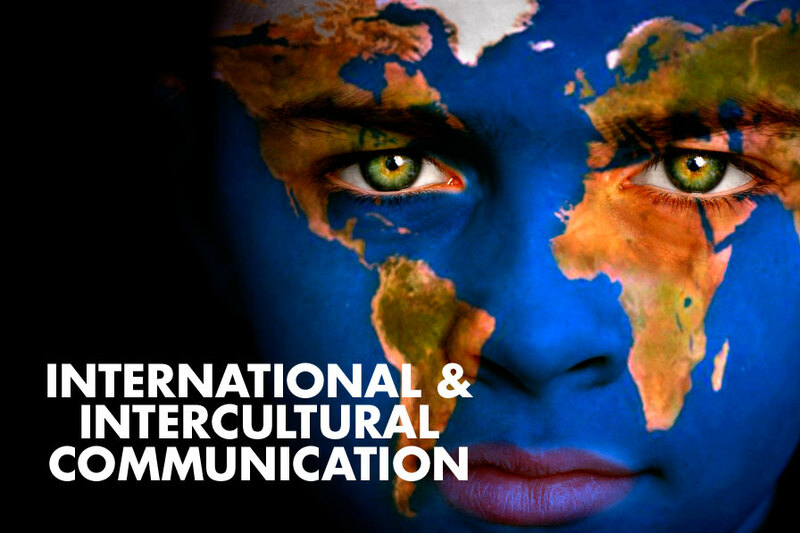 Therefore, this post provides deeper understanding on cross-cultural communication and highlights some obstacles which hinder interculturalism to operate in broader context. Every national group and organization possess certain cultural characteristics. As a result of interaction and social diffusion, it forces to shape insights about national cultures and to predict human biases. According to Rozkwitalska’s definition (as cited in Rozkwitalska, 2010, p.37) “a cross-cultural (intercultural) interaction is a reciprocal influence (action) of a person from one national or organisational culture on another person or people from different national or organisational culture(s)”. So we see that intercultural communication is a mutual and influential relationship functioning between different cultural groups. As a matter of communicational frame, three main factors negatively affect reactions of cultural representatives and force to form certain behavior of individuals. Rozkwitalska (2010) indicates these barriers as: 1) “National culture bonded “like cultural distance, cultural shock, cultural stereotypes, prejudices, and national ethnocentrism; 2) Organisational factors: “institutional ethnocentrism; 3) Individual rooted factors, like: ethnocentric attitude, perception barriers, insufficient level of cultural intelligence and cultural competences” etc. (p.38). From here it should be pointed out that ethnocentrism appears as the main barrier to build up diplomatic and stable relationship between different cultural ethnic groups. Ethnocentrism is an ideology that occurs in people’s views that their ethnicity assemblies are superior than others. People from certain ethnic groups possess more predominant attitude toward their ethnic kinship; whereas attitude possessing toward other ethnicities is more reproachful (Neuliep et al, 2005). To sum up, it seems that cross-cultural communication serves as a hub to put globalization and internationalization together. However, ethnocentrism causes many biases and irrespective attitude toward other ethnic societies. As a result, people prefer more ethnic segregation, keeping distance in any kind communication. Questions for you: How do understand cross-cultural communication? How would you describe ethnocentric person? Rozkwitalska, M. (2010). Barriers of cross-cultural interactions according to the research findings. Journal of Intercultural Management, 2(2), 37-52. Neuliep, J. W., Hintz, S. M., & McCroskey, J. C. (2005). The influence of ethnocentrism in organizational contexts: Perceptions of interviewee and managerial attractiveness, credibility, and effectiveness. Communication Quarterly, 53(1), 41-56. What is a PUBLIC SPEAKING? How important to have public speaking skills for teachers? Majority of people and some of their profession more or less requires skills of good public speaker. Public speaking skills, by its engagement per se, foster to enhance critical thinking, personal and civic skills (Jaffe, 2012). Analyzing the concept of public speaking, which has an impact on personality formation, my second post is dedicated to this influential phenomenon in society and what skills are imporatant in this sense. First of all, it would be essential to define the understanding about public speaking. Verderber and Verderberv (2011) identified public speaking, as “a sustained formal presentation by a speaker to an audience, is simply one form of human communication” (p.2). Any form of presentation in front any audience is public speaking; but they are specific features of every audience,as listeners’ main age group, their possible interests etc. Secondly, it would be useful to highlight the reasons explaining the personal need of public speaking skills for successful career development. Many researchers such as Payne and Carlin et al. (as cited in Yu-Chih, 2008) devoted to explore this topic in the broader context. They argued that public speaking skills could increase the social role and self-confidence of a person by devoting more authority in his/her standpoints. As well as Verderber and Verderberv (2011) pointed out that major benefit that public speaker gain from presentations – is a development of ability to convey complex ideas into understandable concepts. Therefore, it is obvious to see reasonable advantages from developing public speaking skills. In this context, Yu-Chih categorized three main beneficial areas (personal or social, academic and career benefits) from the advanced skills of presentation. Teacher profession challenge all three beneficial areas. Finally, answering to the main question how it is important to have public speaking skills for teachers? I would answer that it is crucial for every socially active and perspective person to be a good public speaker. Especially for teachers, having a potential of excellent info-presenter and being a pattern of self-confident person and democratic in ideas, is more than preferable. Some questions for “thoughts”: What do you think about the necessity of having good public speaking skills for every profession in general, and for teachers in particular? Jaffe, C. (2012). Public speaking: Concepts and skills for a diverse society. Cengage Learning.Verderber, R., Verderber, K., & Sellnow, D. (2011). The challenge of effective speaking. Cengage Learning. Yu-Chih, S. (2008). The Toastmasters Approach An Innovative Way to Teach Public Speaking to EFL Learners in Taiwan. RELC Journal, 39(1), 113-130. Well, my first post here would possess character that is more informal. I would like to say “thank you” to mr.Montgomery, for this opportunity to share ideas and thoughts with our “cohort stakeholders” (I mean all of you). This post will serve just like a reminder to be thankful for every chance that we have in our bright life. To begin with, I would like to say that we are privileged people. We were born in Kazakhstan; in the rich country (geographically well situated, economically well opportunistic etc.). We had to chance study at schools and graduate from universities. As well as just to be thankful that we can eat, love and pray (as one of titled book of Elizabeth Gilbert). Happy people can walk, dance, carelessly study and work, afford themselves to relax sometimes and develop, develop, develop. Speaking of the current time, we all enjoy studying in the best university in Kazakhstan. We also enjoy chatting and socializing with each other; challenging ourselves to be better and learning something new every day. We get stipends as one monthly salary, just to not worry about our pocket money. I dare to say that even free wi-fi is a privilege. 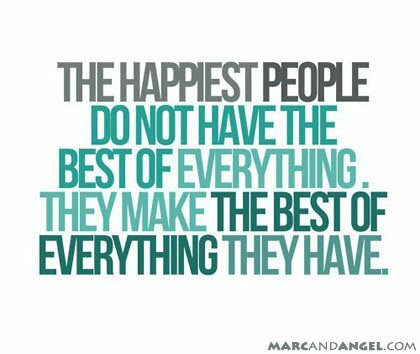 When you are thankful for every single thing you have, you appreciate it more. Finally, as I said before, this post is like a reminder: Never forget to be thankful and remember that millions of people would like to be instead of you!